From Monday 6th November 2017, the way we book our appointments to see a Doctor have changed. In response to feedback from patients and in order to use GP time more efficiently we will no longer have routine appointments that are released on the day. All routine appointments will be pre-bookable, taking away the need for patients to call back on the day they wish to be seen. We will stagger the release of appointments with 1/3 being bookable 3 weeks in advance, 1/3 bookable 2 weeks in advance and the remaining 1/3 bookable 1 week in advance. We will continue to have a Duty Team which will consist of a Doctor and an Advanced Nurse Practitioner. They will be available to see patients that have become acutely ill and require an urgent same day appointment. You will be offered the next available appointment. The Duty Team should not see you if your symptoms are non-urgent or chronic. The Surgery is open on the first three Saturdays of each month between 8am and 11am. This clinic is for pre-booked appointments only which are available two weeks in advance. 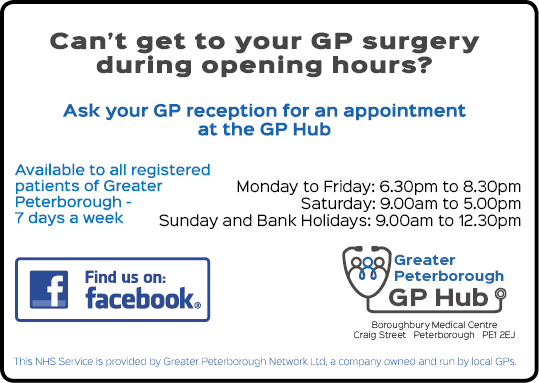 Please note that the Saturday Surgery is a restricted service – the Doctors will not do home visits and the dispensary will be closed. Appointments are offered for 10 minutes and can be made in person at reception, by phone or online. Should you wish to see a specific Doctor we will be happy to make an appointment with the GP of your choice but it may be necessary to wait longer for this appointment. Our reception team have recently undertaken care navigation training that has been set up to help non-medical staff safely direct your request to the most appropriate healthcare professional. Please be aware you will be asked for a brief description of your symptoms to enable them to do this; you don’t need to provide this information if you don’t want to but it can help us ensure you see the most appropriate health care professional for your needs. You may not need to see a Doctor in every case as our team of nurses provide a range of specialised clinics and services. 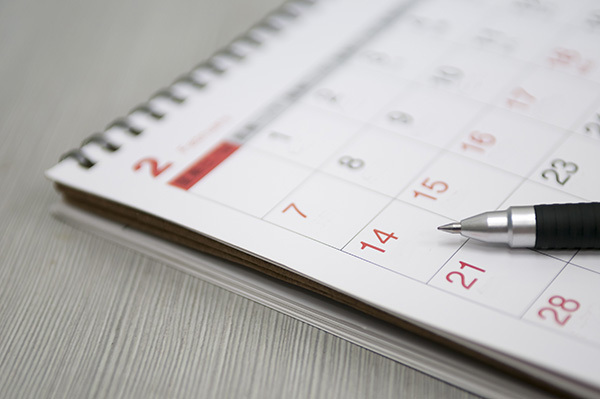 To see a nurse you can book up to 2 weeks in advance. To make an appointment call 01832 273408 on weekdays between 8.00am & 6.30pm. To request a weekday home visit you must call us on 01832 273408 before 10.00am. If you are suffering with chest pains, breathing problems or severe abdominal pain, please make sure that you inform the receptionist. A Doctor or Nurse will be asked to phone you back in the first instance to assess your condition. Home visits are time consuming for the Doctors so you are encouraged to attend the surgery where ever possible.